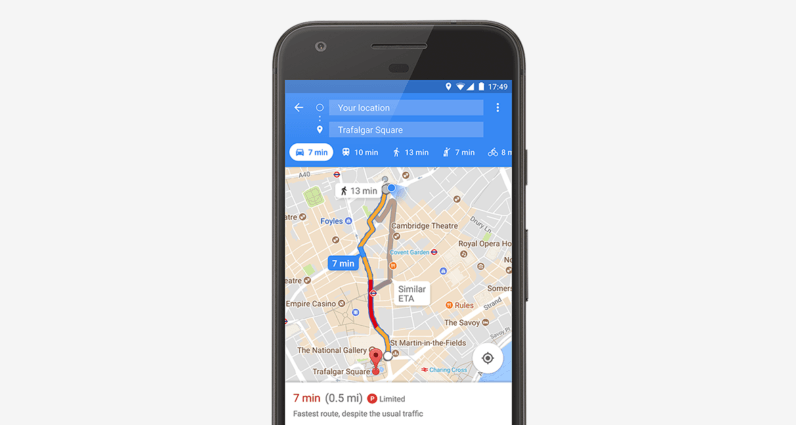 Google is continuously striving to make it easier for Maps users to effortlessly find parking spots in busy areas – and thanks to a recent Google Maps update, this feature is now available to a bunch of new users. In a fresh blog post, the internet giant announced that starting today users in 25 additional cities outside of the US will have access to the parking difficulty icon feature, which lets you check in advance how parking availability is in the location where you’re headed. Google first introduced this feature earlier in January this year and gradually added new functions, like the ability to book a parking spot prior to arrival. For smoother performance, the Big G is using machine learning and historical parking data to provide accurate predictions on how difficult it’s going to be to claim a free spot; the difficulty levels range from limited (for very busy areas), to medium, to easy (for less crowded areas). In addition to Amsterdam, Paris, London and Vancouver, the internet heavyweight has added parking difficulty icons for 21 more cities. Here is the full list: Alicante, Copenhagen, Barcelona, Cologne, Darmstadt, Dusseldorf, Madrid, Malaga, Manchester, Milan, Montreal, Moscow, Munich, Prague, Rio de Janeiro, Rome, Sao Paulo, Stockholm, Stuttgart, Toronto, Valencia. The function is currently rolling out to both Android and iOS users. So in case you’re still not seeing it, make sure you’ve updated to the latest version of Maps. Read next: Can blockchains replace retail giants like Amazon and eBay?